According to Gartner, 50% of the enterprises they surveyed use MOSS 2007 or WSS 3. Today millions of people have relied on Microsoft SharePoint technology for collaboration, records management, enterprise search, or other integration functions. We all know that SharePoint is both an ECM product suite and a great framework for building customized solutions. However, there's always been one problem: Once you're on the path of tailoring SharePoint to your business needs, customization of SharePoint just isn't that easy to use for non-IT professionals. Whenever you need to create a business process SharePoint Designer workflow is very limited or designed for software developers; Or you may decide to have electronic forms and use InfoPath, which is a great product. However, in case of Microsoft InfoPath, it has too many advanced features and over-complicated designer that put you in a risk of breaking a working solution. In general if you start customizing SharePoint, you're on your own. Today we're excited to announce the next step for iTechnology Forms Accelerator: version 2 for Window SharePoint Services 3 and Microsoft Office SharePoint Server 2007. This new version comes with everything you'd expect to find in a forms engine solution, like web-based designer, strict version control and one-click publishing process. But unlike most forms solutions, iTechnology Forms Accelerator was built based on real-life experiences we had with real clients – it is made for business users and it resolves many issues you may experience with other products. When you use iTechnology Forms Designer, you browser automatically loads a Silverlight-based component. Using Silverlight 3 features makes designing forms easier. It also allows centralized no hassle deployment. If you work with InfoPath you probably face issues with versioning: InfoPath form templates are not versioned and you have to rely on third-party Source Version Control systems; and once InfoPath form is published to the SharePoint it starts auto-upgrade of existing instances of the electronic forms. With iTechnology Forms Accelerator you don’t have to worry about losing your changes. Each time you make a significant change a new version of the form is saved. You always can go back and load previous version. Also, once you publish your form to the list/document library, it won’t affect already created instances. Think of it as paper-based form with revision number. Just because there is a new revision you do not necessary want to “upgrade” previous filled in forms. iTechnology Forms Accelerator integrates with any type of SharePoint document library or custom list. 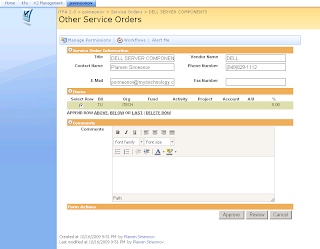 You start iTechnology Forms Designer from the SharePoint list you want to integrate with. When you think you are ready to publish the form you just click menu button “Publish” and publishing is done automatically. Now you don’t have to remember SharePoint URLs, manage credentials in corporate network, or worry what environment you are working now. For those times when you do not have enterprise licenses of MOSS, iTechnology Forms Accelerator is a great alternative to InfoPath Form Services. iTechnology Forms Accelerator works with Windows SharePoint Services as well as with any MOSS editions. Designing large forms with tens of Perspectives (we use term 'Perspective' which is analogous to InfoPath term 'View') can be very time consuming if you work with a form exclusively. 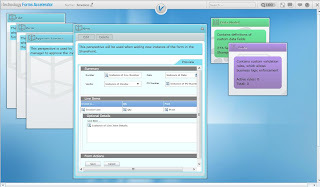 iTechnology Forms Accelerator liberates you: now you can share form design time with other users. 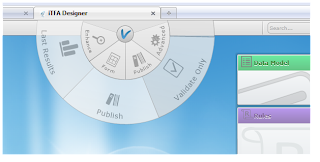 In contrast to other software products, iTechnology Forms Designer allows “locking” and “versioning” on smaller elements of the form. If you want to display your electronic forms in browsers such as FireFox, Safari, Chrome, or Internet Explorer, then iTechnology Forms Accelerator is for you. We do not have limitations on displaying web content in different browsers. It works with a simple Text Control as well as with a complex repeatable data grid with subsection. The ultimate idea behind iTechnology Forms Accelerator is to empower end-users of SharePoint (both business users and support IT personnel). We see an opportunity and challenge to make process of authoring and managing forms easy and intuitive. Here at iTechnology we spent thousands of hours designing software experiences we feel proud to share with you. and many other great features. 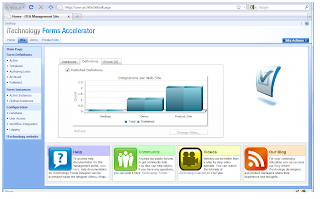 iTechnology Forms Accelerator is free. There are no paid versions. There are no trial periods. Our clients needed this product and now we share this product with them and with you. We are being constantly asked “What is your business model? Why it is for free?”. We are proud to answer: “We want to help you. At in the same time we want people to know our company.” Please give it a try and see if you and your business will benefit with iTechnology Forms Accelerator. Of course, we provide a commercial support if your company needs it (check Technical Support page for more details). Check out the iTechnology Forms Accelerator to learn more and browse a gallery of product screenshots. Thank you and we always welcome comments. Ok, I'll try this. I'm looking at building one myself on my current project. I'll let you know what I think. is the compatible with SP foundation? I will love to try this, very compatible.